In this stage, the patient develops pain and stiffness in the shoulder. 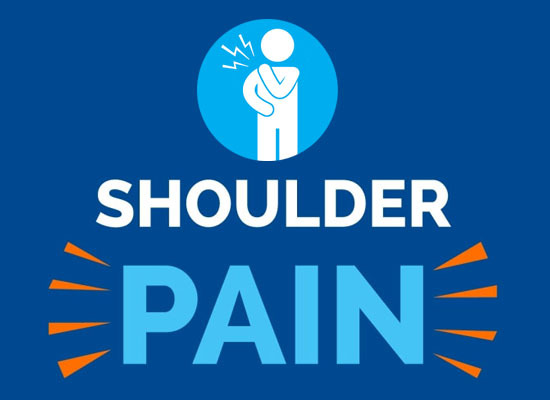 As the pain worsens it results in decreased shoulder movements. The Freezing stage lasts from 3 to 6 weeks till 6 to 9 months. Shoulder movements slowly improve during the thawing stage. It takes one to two years for complete recovery of motion and strength of the shoulder. Improvement varies from patient to patient depending upon severity and treatment protocols. Diabetic patients are more prone to frozen shoulder, but the reason behind it is unclear. Both men and women are affected, though women are affected more. Frozen shoulder in diabetics takes more time to resolve. Rest or immobilization after a fracture or trauma to upper limb (arm) or any kind of surgery can also cause frozen shoulder. Physiotherapy plays a great role in treating frozen shoulder. 7. Your physiotherapist can advise you the proper band depending on our condition. The patient should avoid sleeping on the affected side and should avoid lifting heavy weights as this could further aggravate the pain patient should keep his arm moving in all directions. The name Dr Kavita Kaushik may not ring a bell in most people''s minds here. That is, unless you are part of the Chandigarh medical community or for that matter the countless patients who at one point of time or the other in their lives were the beneficiary of the physiotherapy treatment that she provides. Dr Kavita Kaushik has been in service since the last 10 years here. A known name in the medical community, she has been rendering this highly regarded service for the last eight years in the city and is continuing this level of Physiotherapy treatment. Now, there are doctors and doctors. Each equally capable and proficient in their respective areas. But what sets Dr Kavita Kaushik apart is that she has over the years adopted a totally patient, sympathetic approach and goes out of her way to explain to the patients the cause of their ailment in a soothing and compassionate manner and then follow it up with the treatment and continue this till the patient is one hundred per cent cured. Further,she may have spent the 10 years of her professional life treating general musculoskeletal pathologies and also sporting injuries of elite athletes. It is on the basis of this wealth of experience that Dr Kavita Kaushik is a strong believer of the immense benefits that physiology, exercise brings and also recommends greatly Cardiac and Neuro Rehabilitation. It goes without saying here that she practices these two areas of his patients with the all the professional expertise at his disposal.